Birch tar is a fascinating substance that has been used as an adhesive and sealant among other things for thousands of years. 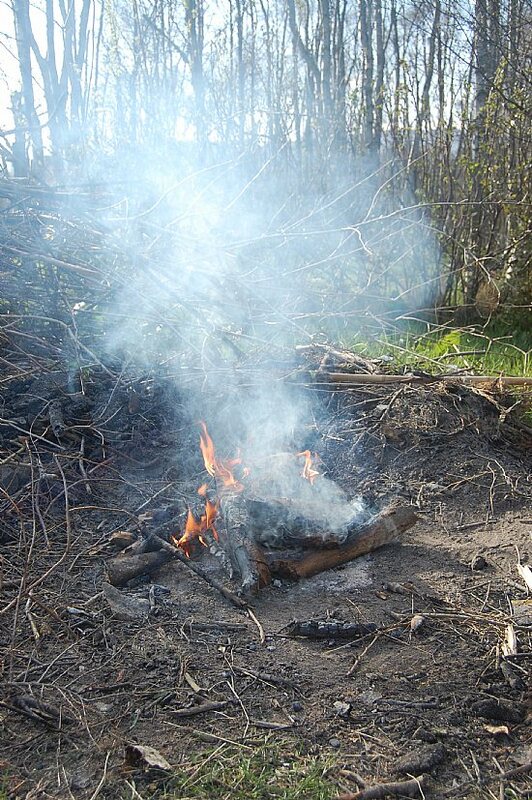 The normal way to collect it is to use birch bark which is more difficult to collect than sticks and leaves the carbonised bark as a waste product so this technique is a bit of an experiment to see if theres an easier more productive way that leaves artist quality charcoal instead. firstly get two tins, a large sweet type tin with a lid and a small bean tin. 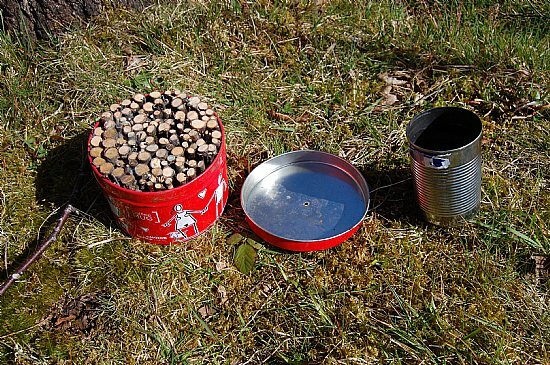 Tightly pack the large tin with birch twigs cut to length, pierce a nail size whole in the centre of the lid from the inside and seal. 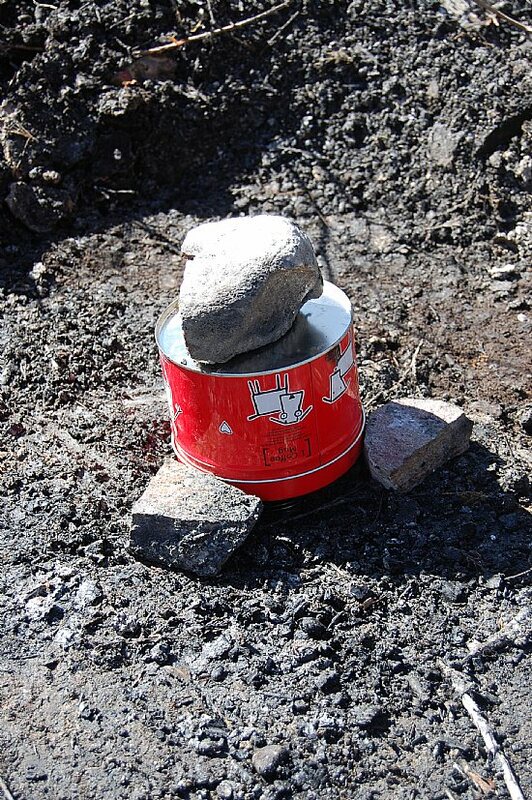 The small tin needs to be buried up to the rim in the ground at a suitable site for a small fire. 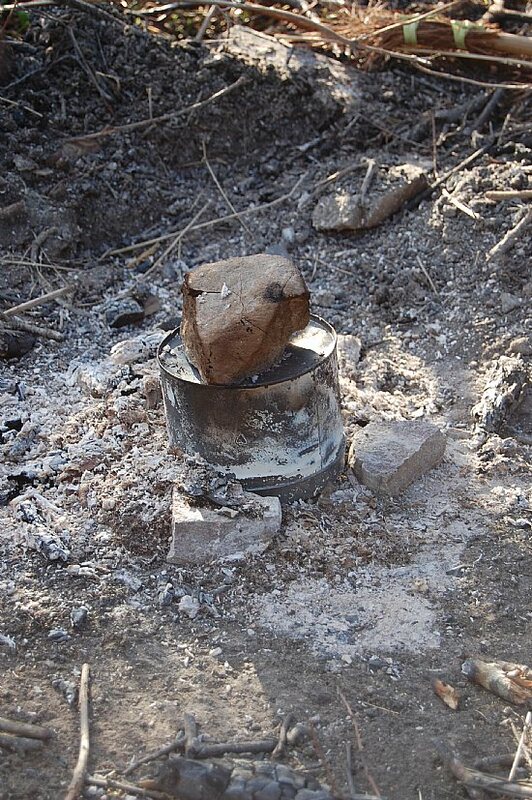 Place the large tin upside down on top and secure with stones. Make sure you use dry stones or masonry as wet ones are liable to explode, so collect from as high as possible away from areas that flood, I reuse tried and tested stones. 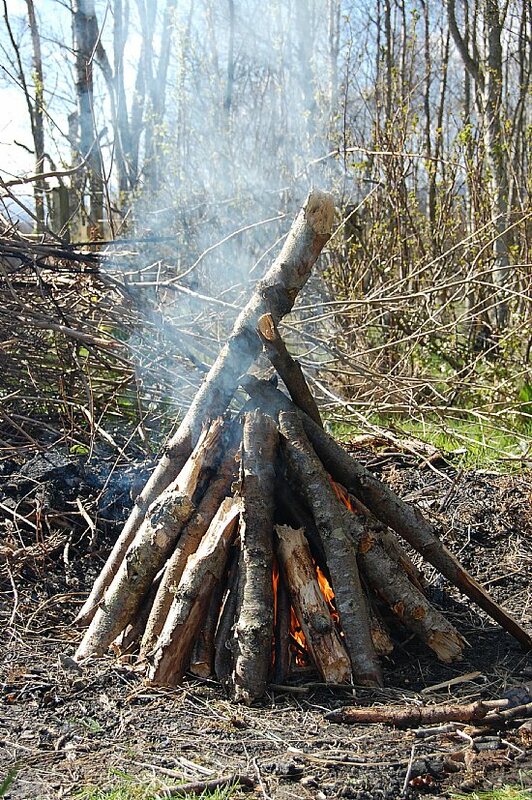 When the tins are secure, build a fire over them, windfall birch makes an ideal fuel with the ends of all the sticks you've just cut as kindling. Enough wood to burn for about two hours is ideal. Let the fire burn down and rearrange the logs as necessary to ensure constant heat around all of the tin. 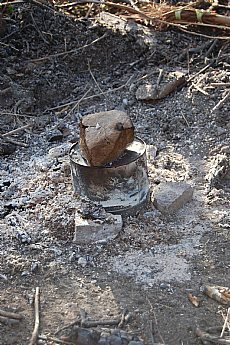 When the fire has burnt out allow to cool and carefully scrape away the ashes so that none get in the lower tin when the top one is removed. Now carefully remove the stones and check inside the tins. Its worked! 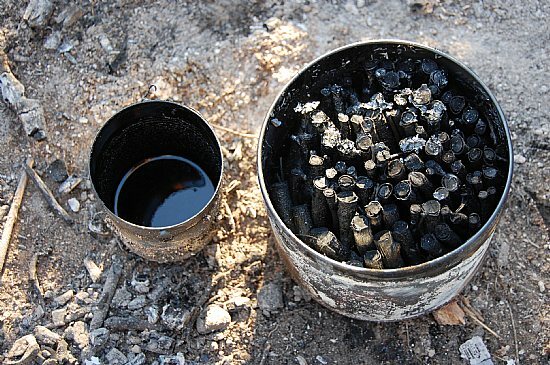 Slightly less tar than would be expected from using bark alone but artists quality charcoal as well. 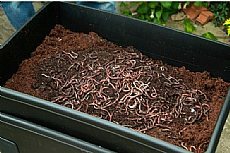 The tar can be simmered down and cooled into a solid or left to settle and the oil, (an essential oil I believe) can be poured off. The charcoal is ready to use, the bark just flakes off.